“If you do not give it 100% you may as well give nothing at all. Whether it is working with my clients or following my passion, I am driven to giving my absolute best to achieve the objective,” says Eugene Smarrelli, Partner at Banks Group. 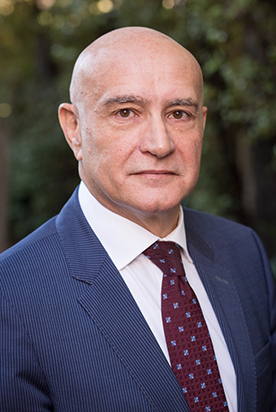 Eugene has been a Partner at Banks Group since 1989. He is now head of Banks Group’s financial management team. When he joined the company in 1985 he brought widespread experience working in a number of boutique firms. At Banks Group his clients benefit from Eugene’s ‘on the job’ specialist advice and expertise in consulting, taxation, and financial management. His wealth of knowledge is underpinned by his appointment to a variety of boards, including some as Chairman. Eugene is a music buff and a philanthropist. He successfully combines these passions with his managerial experience to help various charitable and not-for-profit organisations to which he devotes his time.